Our booking process is simple. Firstly, pick your dates with a pick up and drop off location. Secondly, pick a vehicle that is in your budget and has all the amenities and options you need. Lastly, we will negotiate the best price and come back to you with savings! We are so sure we can give you a competitive rate, we offer a “Best Price Guarantee” for our campervan, motorhome and 4wd rentals. If you have a quote from any campervan company in Australia, we will not only meet the price we will also beat it! Just send us an email from our contact us page and provide us with the details on the quote and we will get the ball rolling. We have been in business for over 8 years and our sales team is here to help with your Australian adventure. 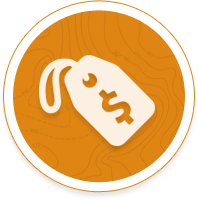 We can tell you where and when you should visit popular destinations to get the most bang for your buck. Kea Campers – In business since 1995, Kea campers now operates a fleet of over 1,200 campervans and motorhomes. Kea Campers operates in New Zealand, Australia, and Southern Africa. Kea operates 14 locations across New Zealand, Australia, and Southern Africa, most of which are located near major airports, providing convenient access to those visiting from out of country. Available vehicles: The Kea fleet is comprised of 2, 2+1, 4, and 6-berth campervans and motorhomes which have been custom-designed by Kea. Locations: In Australia, Kea operates locations in Brisbane, Cairns, Perth and Sydney. New Zealand locations include Auckland and Christchurch. Maui Australia – Maui blends innovative design with unforgettable tourism experiences, all in one package. Maui tends to focus on the higher-end campervan experience, building vehicles that have luxury in mind. Because of that Maui vehicles tend to be very clean, and pretty new, as Maui typically buys their vehicles new, and only operate them for a few years before selling them off. Available vehicles: Maui offers 2-, 3-, 4, and 6-person campervans, ranging from the Ultima Campervan which sleeps two and features a large rear storage area, to the Platinum River Campervan, which sleeps six and can be divided into separate living areas. Locations: Maui locations include Adelaide, Alice Springs, Brisbane, Broome, Cairns, Darwin, Hobart, Melbourne, Perth and Sydney. Mighty Campervans - Like Kea Campers and Maui Australia, Mighty Cars & Campers is backed by Tourism Holdings Limited (THL), which is the largest campervan company in Australasia. Mighty operates in Australia and New Zealand. Available vehicles: Mighty offers 2-, 3-, 4, and 6-person campervans, beginning with Lowball Caravan for the budget conscious, to the Big Six Campervan, intended for families and large groups. Locations: In Australia, Mighty has locations in Adelaide, Alice Springs, Brisbane, Cairns, Darwin, Melbourne, Perth and Sydney. In New Zealand, Mighty locations include In New Zealand include Auckland, Christchurch, and Queenstown. 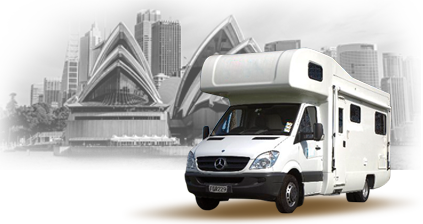 Britz – Britz is one of the largest operators of motorhome rentals in Australia. Like some of the other providers on this list, Britz builds their own campervans. Britz vehicles are predominantly Mercedes vehicles, with Volkswagen and Toyota represented as well. Britz is the only company that guarantees automatics for its Voyage 4-berth and Frontier 6-berth vehicles, and they also specialize in 4WD rentals, offering training classes on the subject from their mainland branches. Britz also offers packages that include discounts on major parks and attractions throughout Australia. Available vehicles: Britz offers a range of vehicles, including camper vans that sleep 2, 3, 4, and 6, and 4WD vehicles that sleep 3 and 5. Britz campervans include the new HiTop Junior, which sleeps 2 and is a compact campervan, to the Frontier RV which sleeps up to six. On the 4WD side, Britz offers the Challenger, which sleeps 3, and the Safari, which can sleep 5. Locations: Britz operates 10 locations in Australia, including Adelaide, Alice Springs, Brisbane, Broome, Cairns, Darwin, Hobart, Melbourne, Perth and Sydney. Apollo – Family owned and operated, Apollo has been in business since 1985, and is currently one of the largest operators of recreational vehicle rentals in the world, and is the largest operator in the Southern Hemisphere. The Apollo fleet comprises over 4000 vehicles, with plans to additional vehicles in the relatively near future. Apollo manufactures their own vehicles in their factory in Brisbane. Apollo typically caters to the family more than solo travelers, a fact which is reflected in the size of their vehicles. Available vehicles: Apollo provides a wide range of vehicles, from small campervans such as the HiTop campervan that sleeps 2, to the Euro Deluxe, which sleeps 6. Apollo also provides 4WD vehicles, caravans and cars. Locations: Apollo operates depots in Australia, New Zealand, the USA and Canada. In Australia, Apollo operates locations in Adelaide, Alice Springs, Brisbane, Broome, Cairns, Coolangatta, Darwin, Hobart, Melbourne, Perth and Sydney. In New Zealand, Apollo operates locations in Auckland and Christchurch. In the US, Apollo operates locations in Denver, Las Vegas, Las Angeles and San Francisco. In Canada, Apollo operates locations in Calgary, Edmonton, Halifax, Montreal, Toronto, Vancouver and Whitehorse. Hippie Camper – Focused on the value-conscious camper, Hippie Camper provides affordable transport for the budget conscious. Founded in 2006 as a subsidiary of Apollo, Australia’s largest privately owned RV operator, Hippie maintains 5 locations in Australia and 2 locations in New Zealand. Hippie Camper vehicles are based on the Mitsubishi Express, a mid-range campervan, and they offer good value for the money. Hippie Camper campervans are aimed at the younger camping crowd, and that’s where they really shine, by providing a quality product at a low price. If you’re looking for a large RV for the whole family, or a true luxury experience, Hippie Camper probably isn’t for you. But if you and a mate or significant other want to head out for a camping holiday, Hippie Camper offers good value for the money. Available vehicles: Hippie provides a line of three campervan models. These include the Hippie Hitop, based on the Toyota Hiace, which sleeps 2 and has overhead storage; to the Hippie Budget, which sleeps 2 and is the most economical model; and finally the Hippie Deluxe, which is based on the Mitsubishi Express L300, also sleeps 2, and includes features like roof racks, a built-in refrigerator, and a large double bed. Locations: In Australia, Hippie Camper has locations in Brisbane, Cairns, Melbourne, Perth and Sydney. In New Zealand, Hippie camper operates locations in Auckland and Christchurch. Cheapa Campa – Cheapa Campa is a family-owned provider of low-cost campervan and car rentals, specifically for those for whom budget is an issue. Founded in 1985, Cheapa Campa provides low-cost campervan rentals for the budget conscious camper. They have a similar inventory to the Apollo line of campervans, mostly because they’re owned by Apollo, but this is a good thing for you, because it means that Cheapa Campa has a pretty good selection to choose from. The Apollo vehicles are generally nicer, with more features, but they’re also significantly more expensive. Cheapa Campa strives to provide good value for low money, and they generally achieve that objective. Available vehicles: Cheapa Campa offers a 2-person Cheapa Hitop, and 2-, 4-, and 6-berth campervans. They also offer the Cheapa 4WD Camper, which sleeps 2; and the Cheapa Outback, a larger 4WD that sleeps 4. Locations: Cheapa Campa operates in Australia, New Zealand, and the United States. In Australia, Cheapa Campa operates locations in Adelaide, Alice Springs, Brisbane, Broome, Cairns, Darwin, Melbourne, Perth and Sydney. In New Zealand, Cheapa Campa operates locations in Auckland and Christchurch. In the US, Cheapa Campa operates locations in Denver, Las Vegas, Las Angeles and San Francisco. StarRV – StarRV, like Cheapa Campa and Hippie Camper, is a member of the Apollo group of campervan rental companies. However, unlike Cheapa Campa and Hippie Camper, StarRV is aimed squarely at the upper end of the campervan rental market. StarRV is the newest member of the Apollo group, and it focuses on being the 5-star provider in the market. As an example of that focus on quality and customer service, StarRV offers complimentary valet service, complimentary linen exchange, and a 1-year guarantee, which means that no campervan or RV in the StarRV fleet is older than 12 months. StarRV also offers a number of package deals that combines the rental with locations and other amenities, all aimed at providing the best experience for the customer. Available vehicles: StarRV only provides one campervan, and 3 models of RV. The Aquila is the campervan, and sleeps 2 comfortably, with a lot of extra features and amenities. At the other end of the spectrum is the Hercules RV, which sleeps 6 with room to spare, and includes a full kitchen, large fridge, and flat screen TV. Locations: StarRV has location in Australia, New Zealand, and the United States. In Australia, StarRV operates locations in Brisbane, Cairns, Melbourne and Sydney. In New Zealand, StarRV operates locations in Auckland and Christchurch. In the US, StarRV operates locations in Denver, Las Vegas, Las Angeles and San Francisco. 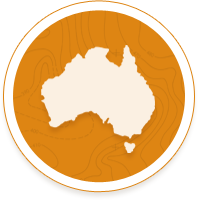 Camperman – Headquartered on Australia’s east coast, Camperman is a budget-friendly campervan rental company. Camperman is a family-owned business, and operates in 8 locations across Australia. Most of their fleet, as mentioned above, is geared toward the budget camper, so they stick with campervans, avoiding the higher end RVs and motorhomes. Like most rental companies, they have locations in the major cities, but Camperman also has locations in less populous areas like Airlie Beach and Townsville, giving campers in those areas more options. 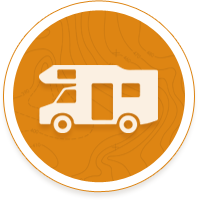 Available vehicles: Vehicles available from Camperman range from the Juliette 3 HiTop, which sleeps 3, to the Jesse 5 Hightop, which features sleeping for 3 inside along with a 2 man tent and air mattress. Locations: Camperman operates in Australia only, with 8 locations. Those locations are Adelaide, Airlie Beach, Brisbane, Cairns, Gold Coast, Melbourne, Sydney and Townsville. Spaceships – Originating in New Zealand 2004, Spaceships are essentially people movers that have been modified to act as campervans, and they carry a lot of smart features and enhancements that help them achieve that objective. Spaceships won the 2013 Golden Backpacker Award for Best Car/Campervan Rental, and the brand has built up something of a cult following since its introduction. Spaceships offers great customer service, and amenities like 24-hour roadside assistance, and a series of ‘spaceports’, or locations where Spaceship renters can meet to exchange information, DVDs and interact socially. Available vehicles: Spaceships offer a neat selection of campervans for rental including the Alpha 2-Berth and Beta 2-Berth. Locations: Currently, Spaceships operates depots in Australia, New Zealand, and the UK. In Australia, Spaceships operates locations in Brisbane, Cairns, Melbourne and Sydney. In New Zealand, Spaceships operates locations in Auckland and Christchurch. In the UK, Spaceships operates locations in Dublin, Edinburgh and London. In addition, Spaceships has additional depots in Europe, in Barcelona and Rome. Jucy – Founded by two brothers, Tim and Dan Alpe, Jucy was formed in 2001, growing its initial fleet of 35 vehicles to over 2,700 today. Jucy has a strong and loyal customer base, and recently won the 2013 Golden Backpacker Award for Best Car/Camper Rental in New Zealand. Jucy offers a selection of smartly designed camper vans, and they’re known as much for their quirky design and lime green coloring, as they are for the excellent customer service that the company prides itself on. Jucy, like Spaceships, is more focused on the youthful set. And, like Spaceships, they provide smaller, smartly-equipped campervans, as opposed to the larger RVs offered by other providers. Available vehicles: Jucy offers 3 models of campervans, and 2 models of sleepers. These range from the 2-berth rental called the Crib, to the 4-berth Condo. Locations: Jucy rents in Australia, New Zealand, and the US. In Australia, Jucy operates locations in Brisbane, Cairns, Melbourne, Perth and Sydney. In New Zealand, Jucy operates locations in Auckland, Christchurch, Dunedin, Queenstown and Wellington. In the US, Jucy operates locations in Las Vegas, Las Angeles and San Francisco. Travellers Autobarn – Opening in Sydney in 1993, Travellers Autobarn has focused on the backpacker and camper since their inception. Travellers Autobarn focuses primarily on the budget crowd offering cars, campervans and motorhomes at reasonable rates. That said, they have begun to introduce new models into their inventory, with some as young as 2013 models, without raising their prices substantially. They’re known for good customer services, excellent prices and clean (if no-frills) campers and campervans. Available vehicles: Travellers Autobarn offers everything from a small budget campervan called the ‘Budgie’, to the Hi-5 Camper, which sleeps up to 5. Locations: Travellers Autobarn primarily operates in Australia, New Zealand, and the United States. In Australia, Travellers Autobarn operates locations in Brisbane, Cairns, Darwin, Melbourne, Perth and Sydney. In New Zealand, Travellers Autobarn operates locations in Auckland and Christchurch. In the US, Travellers Autobarn operates locations in Las Angeles, Las Vegas, Miami, New York and San Francisco. In addition, Spaceships has additional depots in The Netherlands, France and Germany. Wicked Campers – Wicked campers was founded in Brisbane, and they are focused on the younger budget-conscious camper. Their marketing is very youth-oriented, with edgy and politically incorrect slogans and images spray painted right on to the campervans. No stranger to controversy, Wicked Campers has grown dramatically over the years, and their popularity continues to expand. Available vehicles: Wicked offers a huge range of vehicles, including everything from motorcycles, through different types of cars, and into their uniquely adorned campervans. Locations: Wicked Campers operates primarily operates in Australia, New Zealand, and the United States, but they are a global company with operations in Europe, Africa, South America and Japan as well. In Australia, Wicked operates locations in Adelaide, Airlie Beach, Alice Springs, Brisbane, Broome, Byron Bay, Cairns, Darwin, Exmouth, Melbourne, Perth and Sydney. In New Zealand, Wicked operates locations in Auckland, Christchurch and Queenstown. In the US & Canada, Wicked operates locations in Las Angeles and Vancouver. And as mentioned above, Wicked has additional depots in Europe, Africa, South America and Japan. Australia and New Zealand offer some of the most beautiful terrain in the world, and there’s nothing quite like experiencing it firsthand, camped right in the middle of it. No matter which company you choose to rent from, take your time and enjoy life in the Outback, the beach or wherever your feet (and wheels) take you.